Blake Morgan Reading recently announced that FAITH Christian Group are to be Charity of the Year for the 3rd Year running, 2018-2019. FAITH are hugely proud and pleased with this support and encouragement received from staff at the Reading Branch. 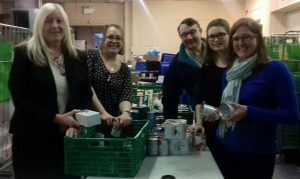 Supporting us through our B4N Winter Night Shelter, Corporate Days, Supermarket Weekend Collections and food donations at ReadiFood Foodbank and volunteering at ReadiStreet our nightly street outreach. Blake Morgan Reading – FAITH Thank you Very Much.